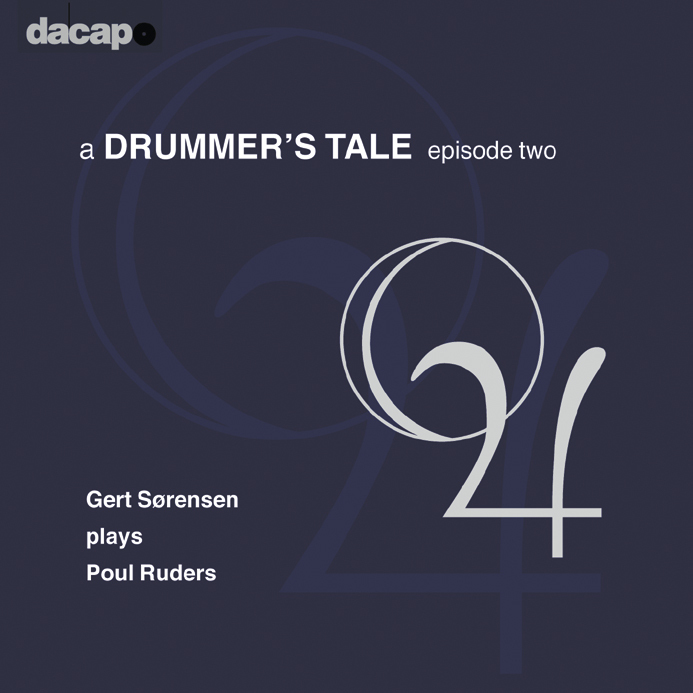 Poul Ruders has worked with Gert Sørensen for many years, and this has introduced Ruders' work with percussion to the diversity of sound potential inherent in the new technology of MIDI, samples and sound sources. Sørensen's and Ruders' expansion of the possibilities of the orchestral percussion can be heard in the orchestral works Solar Trilogy and in Ruders' opera The Handmaid's Tale." Regime (1984) 7:47 9,60 kr. Fingerprints I (1998) 1:30 6,40 kr. Alarm (1983) 7:27 9,60 kr. Fingerprints II (1998) 2:01 6,40 kr. Cha Cha Cha (1981) 7:57 9,60 kr. Fingerprints III (1998) 1:44 6,40 kr. Towards the Precipice (1989) 23:39 19,20 kr.